Took some photos from Rafa's practice session at the Open on Wednesday August 31st. 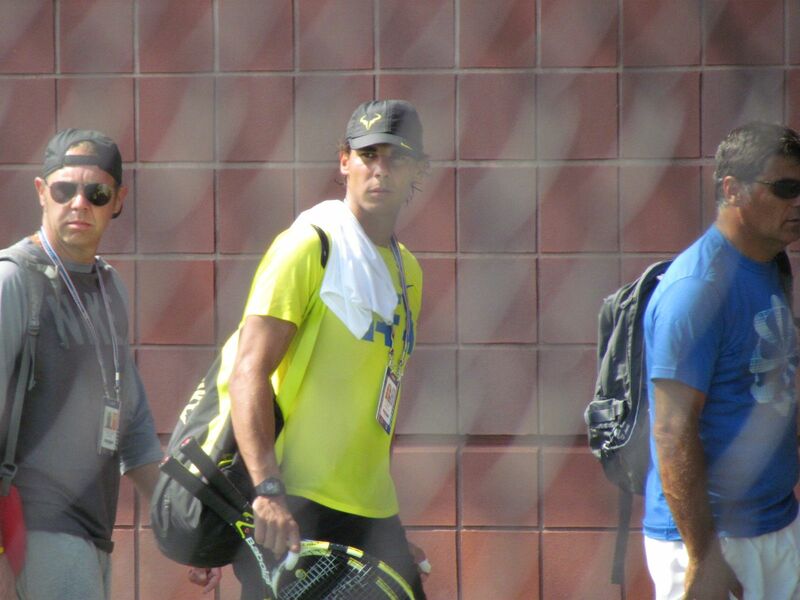 He practiced at P4 which means 'Private4" the court is secluded with a 10 foot hedge all around, gated & pretty impossible to get close to Rafa around the sidelines there is a small entrance & there where so many people there, I could hear them scream at Rafa, telling him hey get over here & give me your autograph. There was one man who yelled "for the prices I pay for these tickets you should be handing me drinks" & that did if for me. 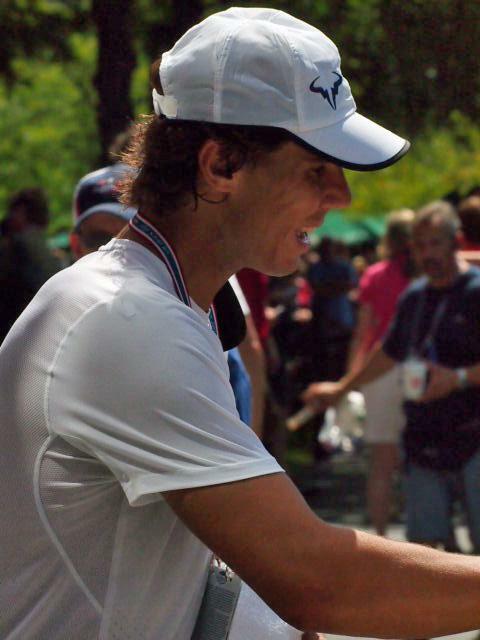 Behind the scenes with Rafa!/¡Entre bastidores con Rafa! Enjoy these behind the scenes photos of Rafa on our latest top secret shoot. They are for an exciting new promotion coming soon, so watch this space! "Today after practice I had a interview with Jarko Nieminen, a very good player and a good person! Thanks Jarko!" " Hi everyone. Yesterday's match was... well, at the end we won, that's the important thing. It wasn't easy but we made it. Now I'm at the tourney, ready to train. In this pic we're having a little chat with Toni, every moment is good for improving!" "Hello everybody. Find uploaded a picture going to the tournament. There was a lot of traffic." Armani FB has a new profile pic..